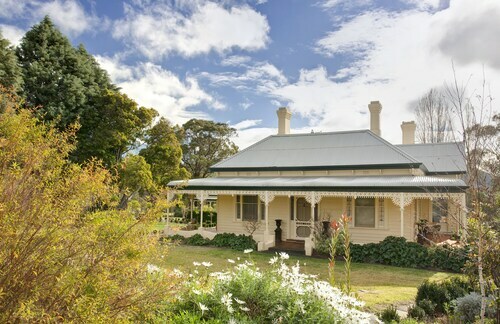 Situated in Goulburn Valley, this luxury bed & breakfast is within 1 mi (2 km) of Heathcote Winery and Pink Cliffs. Flynns Wines is 8.8 mi (14.2 km) away. Situated in a regional park, this motel is 0.5 mi (0.8 km) from Heathcote Winery and 1.6 mi (2.5 km) from Pink Cliffs. Flynns Wines is 8.6 mi (13.9 km) away. Situated in Goulburn Valley, this country house is within 16 mi (25 km) of Pink Cliffs, Heathcote Winery, and Lancefield Golf Club. Lancefield Park and Curly Flat Winery are also within 20 mi (32 km). Situated in Redesdale, this apartment building is 8.1 mi (13.1 km) from Redesdale Estate Vineyard and within 16 mi (25 km) of Pilchers Bridge Nature Conservation Reserve and Malmsbury Viaduct. Mount Alexander Regional Park and Piper Street are also within 20 mi (32 km). 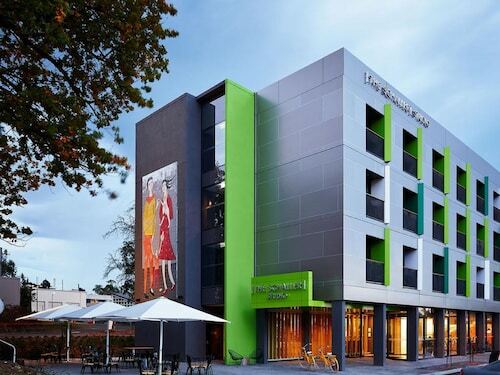 This family-friendly motel is located in the city center, within 2 mi (3 km) of Bendigo Club, Bendigo Fun Factory, and Hargreaves Mall. Post Office Gallery and Golden Dragon Museum are also within 2 mi (3 km). 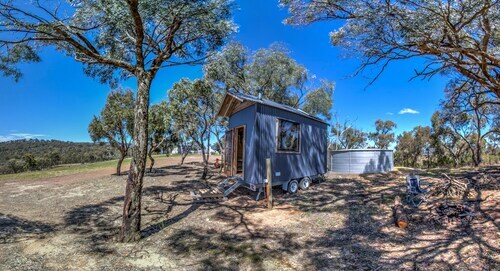 Situated in Goulburn Valley, this cabin is within 12 mi (20 km) of Old Post Office Gallery, Vietnam Veterans Commemorative Walk, and Seymour Railway Heritage Centre. Broadford Speedway and Seymour Golf Club are also within 16 mi (25 km). 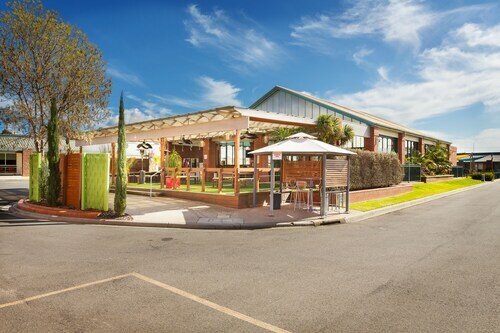 Situated in a rural location, this luxury hotel is 0.7 mi (1.1 km) from Mitchelton Winery and within 9 mi (15 km) of Tabilk Wetlands and Wildlife Reserve and Nagambie Golf Course. Jacobsons Outlook Park and Goldburn Terrace Winery are also within 9 mi (15 km). Situated in a rural location, this guesthouse is 0.5 mi (0.8 km) from Pilchers Bridge Nature Conservation Reserve and within 9 mi (15 km) of Mount Alexander Regional Park and La Larr Ba Gauwa Park. The Mill Castlemaine and Wesley Hill Market are also within 16 mi (25 km). Kids shouldn't get to have all the fun while on vacation. 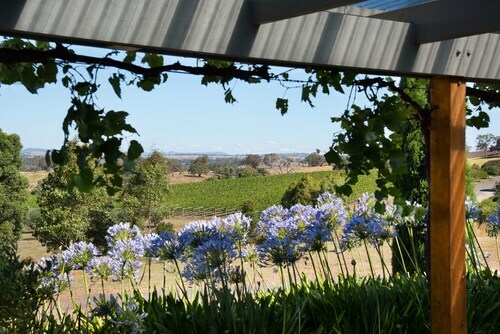 Treat yourself to a bit of adult-orientated recreation at Heathcote Winery. 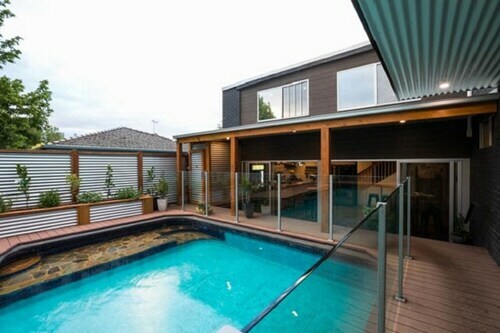 Heathcote, where it is situated, is 65 miles (105 kilometers) from the capital city of the state, Melbourne. 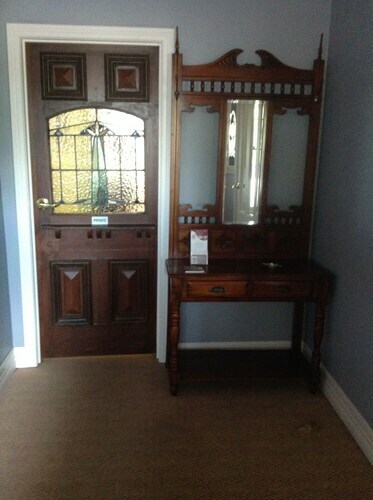 Make the most of the facilities at the Emeu Inn before going out for Heathcote Winery. Seeing as it's only 0.1 miles (0.2 kilometers) away, you're certainly not going to need to rush! Within easy walking distance of Heathcote Winery, The Bank Heathcote is an ideal place to experience the local area's cafe culture. But, if your belly's starting to growl, you can head to Red Dragon, also close by. As the day comes to an end, you can toast the new memories you've just made at Commercial Hotel Heathcote, also within the immediate vicinity. Nature enthusiasts should be sure to bring their hiking gear and venture along Pink Cliffs. Embrace the flavors of the local area at Flynns Wines. Redesdale Estate Vineyard is the ideal place for everyone from devoted wine lovers to casual consumers. How Much is a Hotel Room in Heathcote Winery? 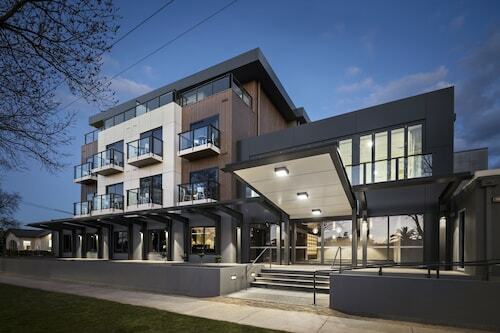 Hotels in Heathcote Winery start at $80 per night. Prices and availability subject to change. Additional terms may apply.